The Greenest Region Compact (GRC) is a collaboration of over 70 communities working towards creating a more sustainable region. It was created by bringing together common goals and practical strategies from all 275 member communities of the Metropolitan Mayors Caucus. The consensus goals of the Compact address ten areas, including climate, economic development, energy, land, leadership, mobility, municipal operations, sustainable communities, water, and waste & recycling. These goals help guide coordinated efforts across the region to enhance quality of life for residents, protection and stewardship of the environment, and sustainable economic vitality. The GRC provides a companion Framework document, which municipalities can use as a guide to implement their own sustainability plans. 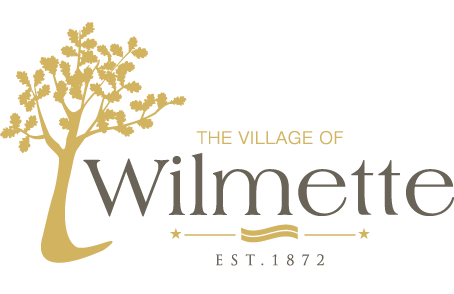 The Village’s Environmental & Energy Commission has begun working on a comprehensive sustainability plan for the Village in accordance with the goals of the Greenest Region Compact. The Commission is currently gathering the necessary background information regarding each section of the Framework. Check back here for updates over the next several months as the Commission progresses through this exciting process! The Clean Air Counts initiative, a precursor to the Greenest Region Compact, was a northeastern Illinois regional initiative to reduce ozone-causing emissions, thereby improving air quality and enabling economic development. Clean Air Counts was a collaborative effort between the Metropolitan Mayors Caucus, City of Chicago, U.S. Environmental Protection Agency Region 5, and Illinois Environmental Protection Agency. This multi-year initiative sought to achieve specific and significant reductions in targeted smog-forming pollutants and major reductions in energy consumption. The Village first became a member of Clean Air Counts in 2002, and received the Platinum award from the Clean Air Counts program in February 2007. In receiving the award, program administrators pointed to the Village’s educational outreach efforts including the 2004 Village vehicle sticker that featured the Clean Air Counts logo. Other notable initiatives included specifying low VOC (volatile organic compound) products, use of energy efficient lighting and motion sensors, and several events – coordinated by the Public Works Department – that promote Clean Air, like the lawncare buyback program and gas can exchange program. Through these efforts, the Village has a documented pollution reduction level of 1,467 pounds.